Meet some of the Class of 2018 and hear their future plans. 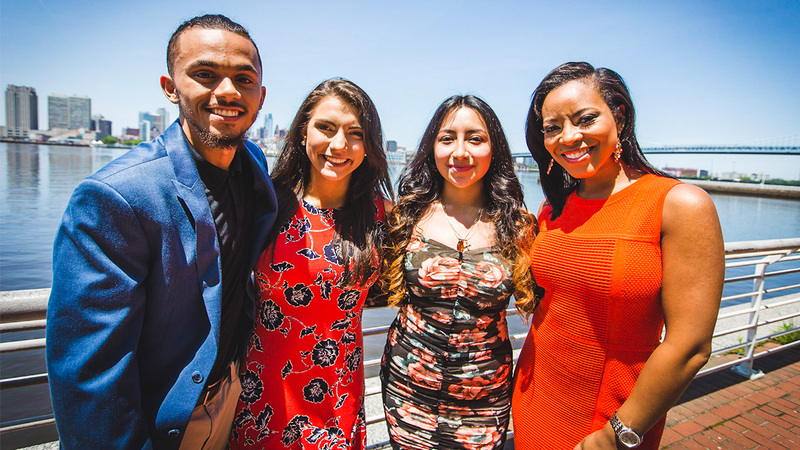 For more than 30 years, 6abc has coordinated The Best of the Class Event - a free daylong celebration of academic achievement inviting high school valedictorians from Philadelphia and Southeastern Pennsylvania, South Jersey and Northern Delaware. Program airs on 6abc on Saturday, June 9, 2018 at 7:00 p.m. 6abc's Best of Class Special is hosted by Action News Anchors Brian Taff and Sharrie Williams. Yong Lin,	Norristown Area H.S. Honorees give thanks and credit to their family and friends. Paul Velamparampil,	George Washington H.S. Best of the Class: How did you get to be the best? Best of the Class: How do you plan to change the world? Best of the Class: What do you think of the world today?